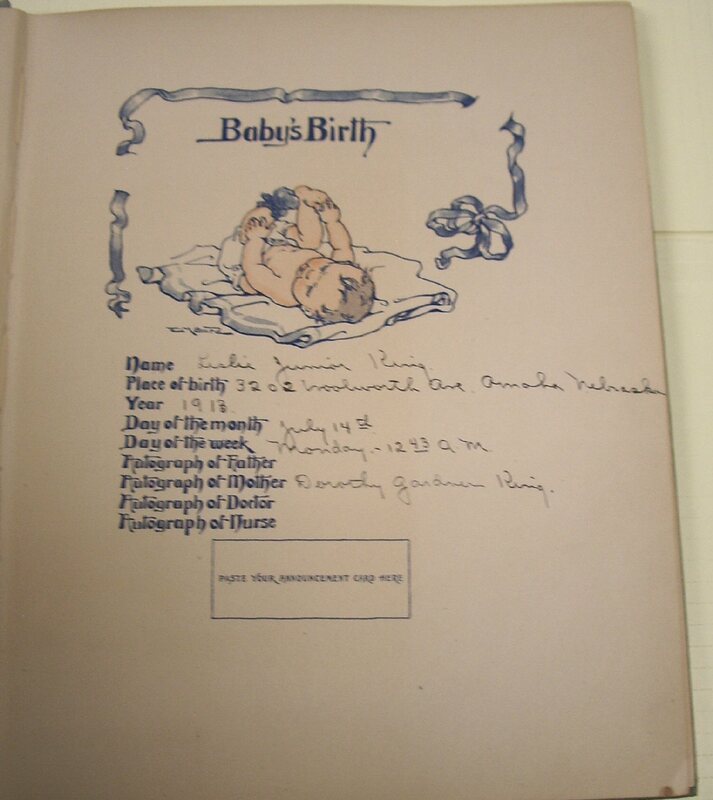 Last week I asked: What president was born Leslie Lynch King Jr.? 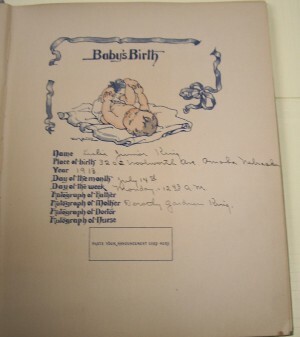 The Gerald R. Ford Library in Ann Arbor on the University of Michigan’s campus has the President Ford’s baby book indicating that his birth name was Leslie Lynch King Jr. He didn’t change his name legally until he was 22. Ford was born in Omaha, Nebraska, but was raised in Grand Rapids and graduated from the University of Michigan where he played football. He earned the designation of Most Valuable Player and was offered a position on both the Detroit Lions and Green Bay Packers. Instead, he went to Yale. 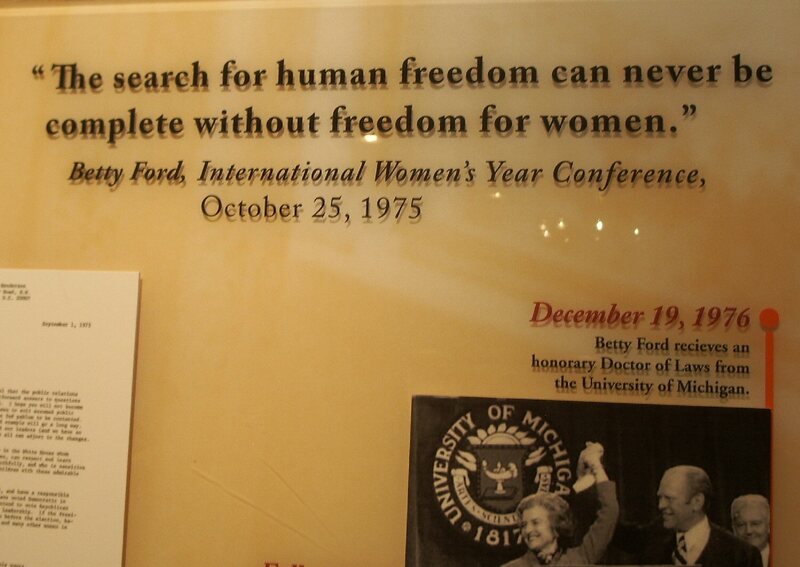 The Ford Library collects, preserves, and makes accessible to the public a plethora of archival material dealing with Ford’s political and personal life. 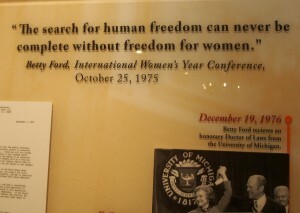 Ford was a well-liked congressman and became vice president under Nixon when Spiro Agnew resigned. Then he became the 38th president of the United States following Richard Nixon’s resignation, in the aftermath of the Watergate scandal. In the lobby there is a permanent exhibit called “The Remarkable Life and Times of Gerald and Betty Ford” that define the tumulus 70s. 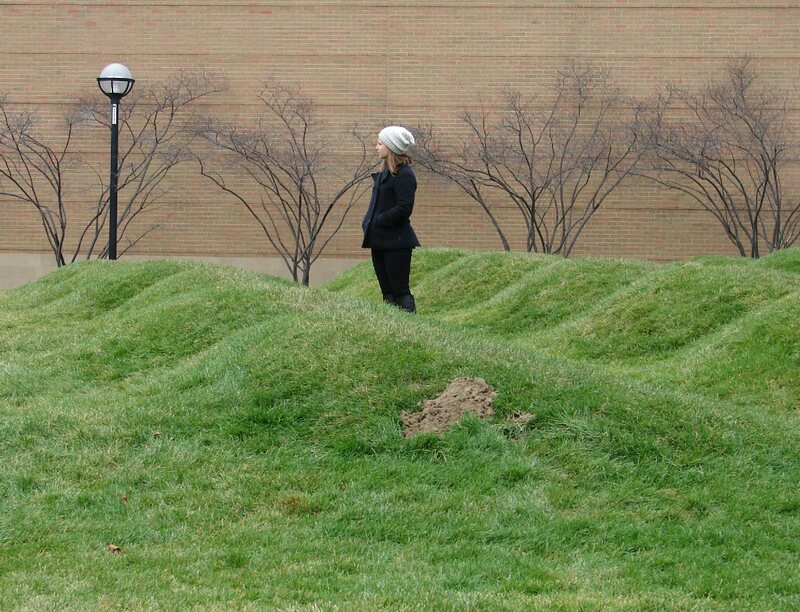 The University of Michigan can claim to be where the Peace Corps started. Well after midnight on Oct. 14, 1960, Senator John F. Kennedy arrived at the Michigan Union after a long day of campaigning for the presidency. In his speech he challenged University of Michigan students to dedicate themselves to global peace and justice by living and working in developing nations – and hundreds responded with signed petitions; from that powerful idea and the action of the U-M students grew the Peace Corps. While on campus we took time to wander around observing the public. It is a wave of earthen mounds the appearance of which changes as the sunlight casts shadows on it. Maybe I would be more appreciative if I visited on a sunny day. 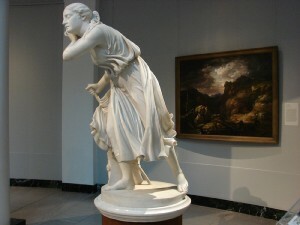 I did, however, enjoy touring the University’s Art Museum where I could identify with much of the art. In the magnificent entry way is “Nydia, the Blind Flower Girl of Pompeii’ who led friends through the ash covered city. The Museum of Natural History has exhibits on geology, the evolution of life, dinosaurs and artifacts from human cultures around the world. They are justly proud of their newest acquisition – a recently unearthed mammoth. The mammoth was discovered by a farmer digging to install a drainage pipe. How exciting that must have been. 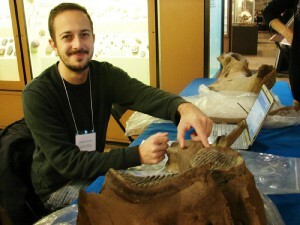 Mammoths roamed the area 11,000 years ago. The surface of the molar was the size of a print left by a very large man’s shoe. 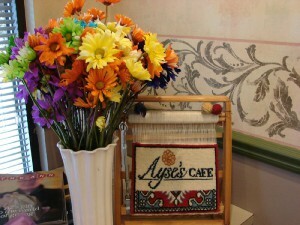 Not far from the campus away tucked in a mall is one of my favorite restaurants in the Ann Arbor area, Ayse’ Turkish Café. Don’t be fooled by the lack of curb appeal, the food is awesome. Think of it as eating at a friend’s house. Ayse doesn’t have printed menus because she cooks what she likes based on the fresh ingredients she can get, but she always has stuffed peppers, my personal favorite. 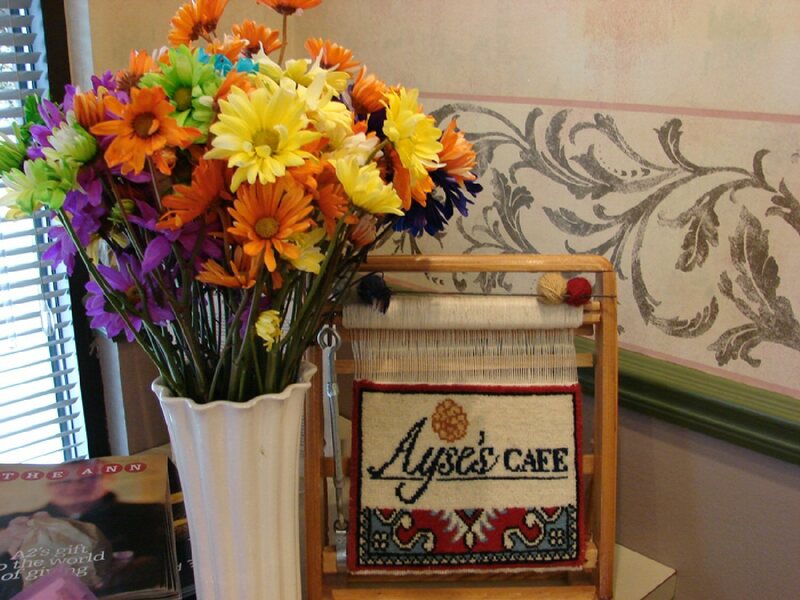 If you have never been to Ayse’s, considering ordering a couple of dishes and sharing them.